By setting a good example when it comes to your own oral care routine, you can influence the development of your child's oral hygiene habits in a positive way. It may seem that, by making sure your child brushes and flosses thoroughly and regularly, and keeps regular dental appointments for check ups and cleanings, you're doing all you can to care for his or her dental health. Indeed, these activities are integral to your child’s oral health, and if you're taking them seriously, your on the right path. However, there are other, more subtle ways that you may be influencing your child's feelings and impressions of dental care and oral hygiene; namely, your own feelings and impressions on the subject may be having an impact. To be a good oral health care influence for your child, it will help to keep the following steps in mind. If you feel scared or anxious at the prospect of visiting the dentist, your child may well be able to sense it, and could develop his or her own anxieties as a result. Your child may think, if big, brave dad is scared of visiting the dentist, then maybe I should be, too! Many people feel a certain amount of displeasure or anxiety about visiting the dentist, and working on overcoming that isn’t easy. But, it’s certainly worth trying, for your own sake as much as for that of your children. Talk to your dentist about how you can start to overcome your negative feelings about dental care. It is important to most dental professionals that their patients feel comfortable and safe, and so your dentist will likely be more than happy to give you some guidance and suggestions on this issue. In the meantime, avoid letting on to your kids about any fear or discomfort you’re feeling. When talking about dentistry, keep a calm, positive demeanor in their presence. Don't make negative comments, or discuss any negative dental experiences you may have had in the past. Making sure that your kids are brushing and flossing regularly is fantastic; but make sure that you're doing the same. Setting a good example when they’re young and more impressionable is ideal, but older children and teenagers will also be more likely to listen to your sage advice about the importance of good oral hygiene habits if you practice them yourself. Providing lots of healthy snacks for your kids is also wonderful, but show them that you value your own health as well. Again, children will notice if you don't practice what you preach. If you always encourage your children to eat wholesome, nutritionally dense foods, but don't do it yourself, they’ll certainly notice. And when they do, not only will they stop taking your words as seriously, they may resent that you hold them to a different standard than you hold yourself. 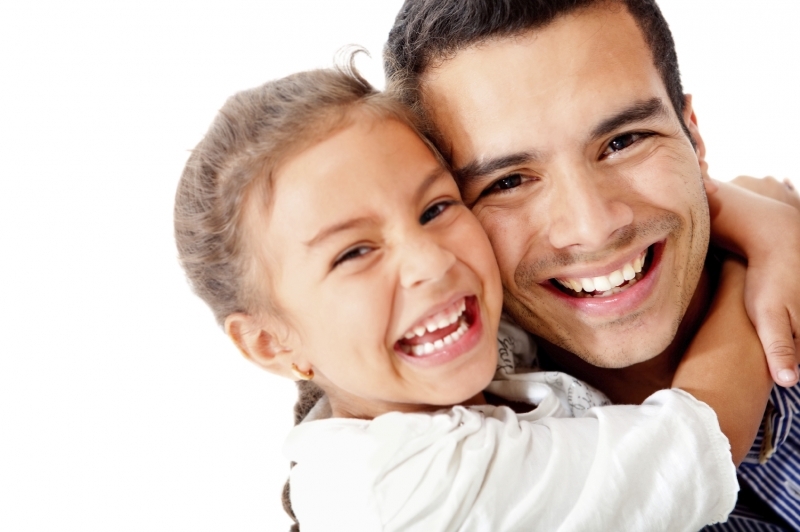 Demonstrating to your children in these different ways that taking care of your teeth is important to you will allow you to exercise a positive influence over their oral health care choices - both now, and for the rest of their lives.